Mitglieder sind unabhängige Experten mit einschlägigen und langjährigen Erfahrungen oder Einrichtungen, Organisationen und Förderer. Vertreten wird Know-how, Wissen und Netzwerke in den Bereichen Einsatz, Forschung und Technologie, Recht, Unternehmensführung und Marktzugang. 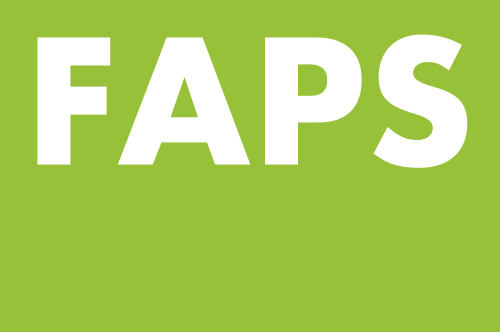 Der Beirat wird tätig als Beratungsforum mit Schwerpunkt auf technologischen, operativen, marktrelevanten und rechtlichen Themen. Im Laufe der Jahre hat die enge Verbindung und Zusammenarbeit zwischen allen Beiratsmitgliedern ein solides Fundament vertrauensvoller Freundschaft geschaffen, was die Arbeit positiv beeinflusst und hilft, Synergien aufzudecken und zu nutzen. Die Kollegen engagieren sich auch gerne in der konstruktiven Zusammenarbeit mit jungen, engagierten und fähigen Visionären. Wissen, Erfahrung und das Netzwerk externer Spezialisten werden in Projekten eingesetzt. Empathie für den Kreis aller Interessensvertreter in komplexen Projektszenarien hilft, den richtigen Weg auch in komplizierten Situationen zu finden. Das Team ist eine einzigartige Institution, die Projekte in vielerlei Hinsicht entlastet und unterstützt sowie hilft, den besten Weg zum Ziel zu finden. He served the German Air Force and held different positions including leadership activities in the field of signal intelligence. He was responsible for the contacts of the German Armed Forces to Non-Nato countries and is well connected in Berlin focusing diplomatic and political activities in the field of security. Since 2008 he has been member of the Chair of Technical Electronics at the Friedrich Alexander University in Erlangen. A long history of experience in telecommunication industry (Lucent, Bell Labs Research) and in international organizations (ETSI) forms the foundation for practice-oriented research. Development oriented projects and engagement in spin-off projects complete the spectrum of experience. As a certified data protection officer (TÜV), project manager, expert for digital forensics and computer science, he and his team provide advice on companies on all aspects of data protection, information security and cyber risk management (e.g. thread analysis, social engineering). In addition, Joachim A. Hader is appointed as an external data protection officer and information security officer at several associations and medium-sized enterprises. He holds a master degree in Electrical Engineering from the Bergische University of Wuppertal, and received a bachelor in economics from the Business Institute Weil am Rhein, Germany. His career is characterized by responsible management positions in different international oriented companies. From 1987 until 2010 he worked in key positions for Siemens reporting to the executive management. Focus had been leadership and management positions in Latin America, Africa, GUS, the global market and international projects. 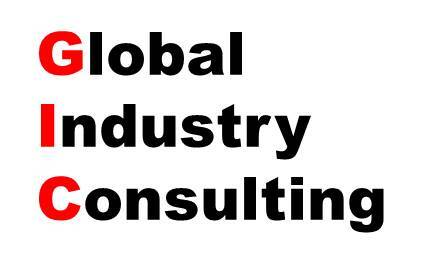 Today he is active as independent consultant in his own company GIC, Global Industry Consulting, founded in 2010. Karl-Heinz John studied computer science at the Friedrich Alexander University in Erlangen. Having obtained his diploma degree, he became co-founder of a new software company, infoteam GmbH, in Bubenreuth near Erlangen in 1983. He started as a developer and, in 1989, took over responsibility as managing director. In 2010, infoteam GmbH changed to a stock company; his new role was CEO of the infoteam Software AG until his retirement in 2016. infoteam has branches in Dortmund/Germany, Switzerland and China. Karl-Heinz John was co-founder of several important organizations such as plcopen, the largest software organization worldwide, and "Automation Valley" in the metropolitan region Erlangen. For many years, he was responsible as vice-president of ASQF, the largest software quality organization in Germany. He is president of the Bavarian cluster Mechatronik & Automation and advisor of the Chamber of Industry and Commerce (IHK) Mittelfranken. He studied math and physics and completed his doctorate in 1990. He continued his career at the Fraunhofer institute for communication, information processing and ergonomics where he acts today as department manager. He is an internationally acknowledged scientist, fellow of the IEEE, habilitated adjunct professor, with numerous presentations, publications and project experience. He studied at the Friedrich Alexander University in Erlangen electronics and communication engineering from 2002 to 2007. He completed his PhD in 2012 in computer science and worked for MEDAV GmbH and Saab Medav Technologies GmbH as a system developer, project manager for international projects and head of a research and development department focused on information fusion products. 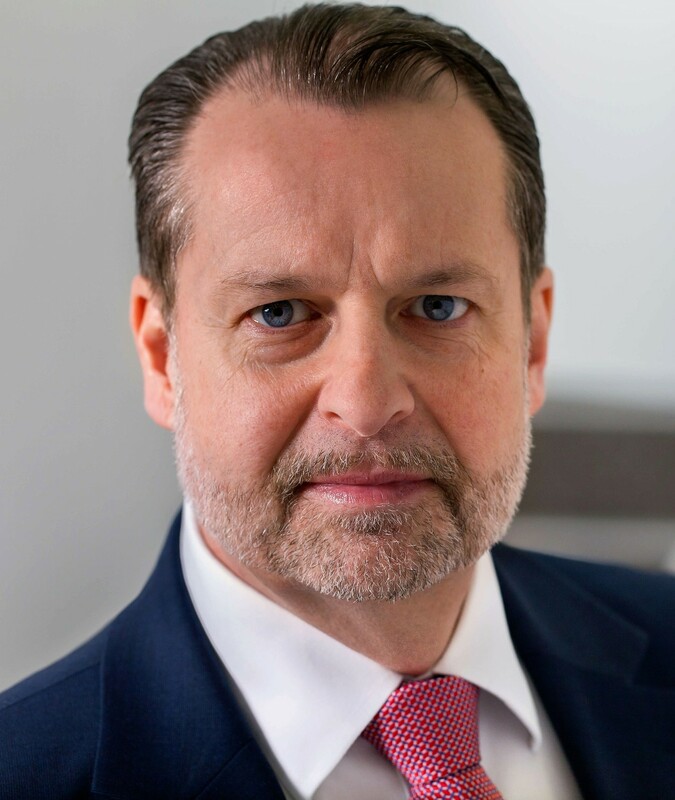 Dirk Kolb founded Traversals GmbH in January 2019. Traversals is an analytics and intelligence company located in Erlangen. It offers software products and services related to it for companies and governments. Traversals plays a critical role in making data understandable by people not being data scientists. He studied at the Friedrich Alexander University in Erlangen and completed his doctorate in 1981 in digital signal processing. He started his first own business MEDAV Digitale Signalverarbeitung GmbH with the age of 28 years. Additional start-ups followed. Today he contributes with more than 33 years of experience in business development and acting as sole stakeholder and managing director from start-up scenarios to successful exits in the measurement and security market. He finalized his studies at the university Kiel in phonetics (1971-74) with the PhD in 1977. Next steps in the professional career: 1980-99 Federal Criminal Police Office, 1994-99: Honorary professor of phonetics at university Trier, since 1999: full professor - head of Institute of Phonetics - university Marburg. Today (since 1980) he works as expert in forensic speech and audio (including aircraft mishaps) for law enforcement agencies, courts and private companies. He worked for the German Foreign Intelligence Service, among other as head of technical divisions for communications engineering, research, development, and equipment. He was chairman of the national working group SIGINT and of the working group Technical Means for Intelligence Operations. He coordinated and managed national and international collaborative projects. He is professor for Applied Computer Science at the University of Erlangen-Nuremberg and member of the editorial board of Speech Communication and EURASIP JASMP. He is teaming with researchers in the international speech community and participated in the foundation of spin-off companies. His current subjects of interest are speaker characterization, prosody, analysis of pathologic speech, computer aided language learning and emotion analysis. He worked in diverse responsible positions: Senior CID Commander Bavarian State Police (OC, AML, CT), 1975 - 1994; Director R and D at Europol, NL, 1995 - 2000; Chairman of EU Artificial Intelligence Research Projects; Commander of the WEU Balkan Mission 2001; Head of EU Missions in Albania 2002 - 12/2007. Further qualifications are: Professor for International Strategic Management 2005; Chartered Management Institute, London, 2005; Consultant for "Intelligence", European Parliament, 2011; Speaker on Intelligence at International Security Conferences. Er studierte bis 1996 Rechtswissenschaften an der Universität Leipzig. Im Anschluss an die Promotion im Jahre 2000 bei Walter Gropp in Gießen war er dort als Wissenschaftlicher Assistent tätig. 2006 erfolgte seine Habilitation. Im gleichen Jahr erhielt er einen Ruf an die Universität Osnabrück, an der er seit 2008 einen Lehrstuhl für Deutsches und Europäisches Straf- und Strafprozessrecht, Internationales Strafrecht sowie Strafrechtsvergleichung innehat. Arndt Sinn war Gastprofessor an Universitäten in Japan (Chuo-Universität, Tokio) und der VR China (Universität Nanjing). Arndt Sinn ist Mitglied im Europäischen Arbeitskreis zu rechtlichen Initiativen gegen die organisierte Kriminalität und Autor zahlreicher Veröffentlichungen zu dieser Thematik. Er ist Berater für den Serious and Organised Crime Threat Assessment (SOCTA) Europols sowie für den Bericht über die Zukunft der Organisierten Kriminalität (Exploring tomorrow's organised crime). Außerdem arbeitet er in der Task Force on Countering Illicit Trade (TF-CIT) bei der OECD mit. Arndt Sinn ist Redaktionsmitglied in inländischen und ausländischen Fachjournalen. He received the Dipl.-Ing. (M.S.E.E. ), Dr.-Ing. (Ph.D.E.E.) and the Dr.-Ing. habil. degrees in electrical engineering and information technology from Technical University of Ilmenau, Germany. Since 1992 he has been a professor of electrical engineering at TU Ilmenau, where he is the head of Electronic Measurement Research Laboratory. He is fellow of the IEEE and has earned several awards, e.g. the Vodafone Innovation Award in 2014. Andreas Turk studied computer science at the Friedrich Alexander University in Erlangen. After graduating, he worked at DFKI (German Research Center for Artificial Intelligence) and FORWISS (Bavarian Research Center for Knowledge-Based Systems). His career included leading positions in sales and especially as Director Automation at infoteam Software AG until today. His career is marked by different excellent positions at different universities, research institutes and industry. Since 2002 he is head of the Institute for Electronics Engineering at the University of Erlangen-Nuremberg, Germany. He received many awards, is highly engaged in academia and cooperation projects, is a Fellow of IEEE and a member of the The Electromagnetics Academy. Furthermore he is engaged in many international organisations and boards. Junge Unternehmer arbeiten mit erfahrenen Experten und schaffen Effektivität, Effizienz und Erfolg.